Owners seeking exit options often ask whether an Employee Stock Ownership Plan (ESOP) could work for them. ESOPs appeal to owners as a way to acknowledge the contributions of employees in the success of the business, potentially mitigate the disruption that bringing new owners in can create, and capitalize on the tax advantages inherent in the sale of the business to an ESOP. Creating and maintaining an ESOP works well for the right company while risks sustainability for others. Further, there are tax and Department of Labor nuances that need to be understood, adopted and adhered to for long-term success. Join us to learn how you can help your clients understand whether this could be a viable exit option for them, as well as current changes to the regulatory environment, to consider. Our distinguished panel includes Rebecca E. Greene and Scott Miller. The EPI Wisconsin Chapter is sponsored by Honkamp Krueger & Co, P.C., Investors Advisory Group, Johnson Financial Group, and Reinhart Boerner Van Deuren s.c. Attorneys at Law. This meeting offers location options in both Madison and Milwaukee. Networking: 8:00 A.M. – 8:30 A.M. Program: 8:30 A.M. – 9:30 A.M.
EPI Chapters bring together a local community of professional advisors to collaborate, address unique needs and topics, develop best practices, build awareness, experience valuable professional continuing education, and build their COI network with like-minded individuals within the exit planning industry and related professions. Whether you are a CEPA member of EPI or not, all are welcome to attend. Join the next local chapter meeting or event in your area, visit www.EPIWisconsin.org. The EPI Local Chapter is different than other groups because it brings together a diverse group of professionals from a wide range of specialties that can naturally work collaboratively on exit planning, succession planning, value growth, transaction or any engagement from both sides of the equation. The chapter meets regularly to network, reconnect, grow knowledge, and sharpen their skills with a common goal: Change the outcome for transitioning business owners. Make plans to join us for future events and connect with the local leadership by visiting www.EPIWisconsin.org. Shareholder at Reinhart Boerner Van Deuren s.c.
Rebecca E. Greene is a shareholder in Reinhart’s Employee Benefits Practice where she advises a wide variety of clients that sponsor employee benefit plans, including private and publicly held businesses across many industries as well as Taft-Hartley multiemployer benefit funds. Rebecca provides counsel to plan sponsors and plan fiduciaries on all issues for qualified retirement plans, health benefit plans, fringe benefit plans, and non-qualified deferred compensation arrangements including plan design, plan investments, prohibited transactions, service provider arrangements, plan document drafting and benefit claims. She also advises plan sponsors and plan fiduciaries on all aspects of compliance with the laws regulating employee benefit plans including ERISA, the Internal Revenue Code, COBRA, HIPAA, PPA and the ACA, corporate governance issues, fiduciary risk management and fiduciary compliance. Serving as a trusted advisor to her clients, Rebecca recognizes the importance of taking the time to listen to her clients to ensure an understanding of each client’s business, needs and objectives before working with them to develop customized legal strategies to meet those objectives. 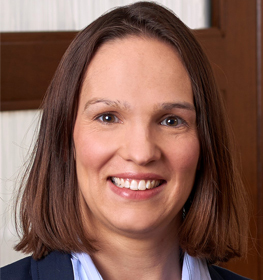 With a decade of legal experience, Rebecca is skilled, knowledgeable and values client comprehension; therefore, she focuses on distilling complicated legal matters into accessible and practical solutions. Clients also appreciate her personable yet professional manner. Scott D. Miller, CPA/ABV, CEPA, is President and founder of ESI Equity, a firm that provides financial consulting services to private businesses. 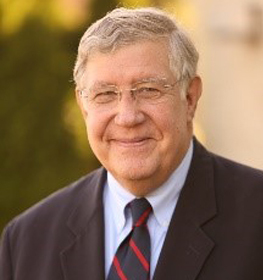 Mr. Miller is widely acknowledged as a leading authority on ESOP valuations for closely-held companies. He has written several books on valuation theory, is often published in professional journals and frequently speaks at programs for professional organizations and industry groups. He also serves on the Board of Advisors of the Exit Planning Institute. Mr. Miller graduated from Kenyon College and earned an MBA from Cornell University, Johnson Graduate School of Management.